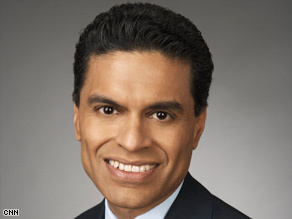 Fareed Zakaria is a foreign affairs analyst who hosts "Fareed Zakaria GPS" on CNN at 1 and 5 p.m. ET Sundays. Zakaria says India's elections could mark its debut as a great power. (CNN) -- Indian Prime Minister Manmohan Singh took the oath of office Friday for a second consecutive term after winning a mandate for his Congress party. President Pratibha Devisingh Patil administered the oath to Singh, seen as the architect of India's economic reforms in the 1990s. Nineteen other lawmakers also were sworn in as members of the new federal Cabinet. The Indian National Congress, headed by Italian-born Sonia Gandhi, won 206 of 543 boroughs in the April and May general elections. That is the party's best performance in almost two decades that saw mostly coalition governments running the country. CNN spoke to author and foreign affairs analyst Fareed Zakaria about the results. CNN: What do you think of the outcome of the Indian elections? Fareed Zakaria: These elections I think may be looked upon as India's debut as a great power -- the way the opening ceremonies of the Beijing Olympics heralded China's debut. They are also the perfect symbol, in this case, of India's unique strengths -- which are defined not by government power but people power with all the messiness and chaos that implies. With 420 million people voting, India's recent polling was the biggest exercise of democracy ever. CNN: But the exercise of democracy in India isn't new. What makes this one special? Zakaria: You are right. It was the result of these elections. Over the last two decades, India has been consumed with its internal divisions -- of caste, ethnicity and religion. This has made if difficult for a government in New Delhi to mobilize national power to any purposeful and responsible end internationally. A decentralized, divided, and diffuse polity has punched well below its weight internationally or adopted policies abroad for purely domestic reasons. That's bad for India and bad for the world. This could all change, starting with this election result. For the first time in three decades, a single party -- the Indian National Congress -- was given a clear and large mandate. CNN: Why were there so many problems in the past? Zakaria: It was mainly two issues. First, populism trumps economic reform. Promising the voters goodies works better than imposing budgetary discipline. Two, in the age of terrorism, fear was an easy way to mobilize political support. (These problems have affected democracies in rich countries like America just as much as poor ones.) The Indian results contradict both notions. The Congress Party has been reasonably reform-mined economically and highly responsible on issues of terrorism. It chose not to react violently to the recent Mumbai terror attacks and was vilified as weak by the opposition. The voters didn't buy it. CNN: Can you think of why things have changed for the voters? Zakaria: I can't be certain but I will put some of the credit for providing a new option to voters on the shoulder of Rahul Gandhi. He is the 39-year-old son of the former Prime Minister of India, Rajiv Gandhi, and the current head of the Congress party, Sonia Gandhi. He spent the last few years reviving the grassroots base of the Congress party. He also made a series of big strategic bets during the campaign such as to field young candidates, not to ally with caste-based parties which proved to be right. CNN: So the voters in India got it right? Zakaria: I think so. But I also do want to take a minute to impress on readers the scope of elections in India. It really is amazing to see the largest democracy at work. First of all, look at the scope. 420 million people voted. That's more than all the people (men, women and children) who live in the United States, Britain and Canada combined. Then the process -- there are five election days over the course of a month; votes are cast in almost 1 million polling places. It is by far the biggest exercise in democracy in the history of the world. But all of that is only part of what makes it really remarkable. The Indian electorate is one of the poorest, least educated in the world but they actively participate in the political process. And they voted in a very intelligent way. Something they should be very proud of.